The AirClean 600 is a compact and extremely portable negative air pressure vacuum unit. Made for securing a dust-free construction work area, the AirClean 600 has airflow of 800 m3/h (470 cfm) without a filter attached. Attaching a G4 and F5 suction hose filter, creates airflow of 600 m3/h (353 cfm). However, with the HEPA filter attached the maximum airflow that can be achieved with the AirClean 600 is 300 m3/h. This compact AirClean 600 is great for those that want a portable negative air pressure vacuum unit with power that will last. 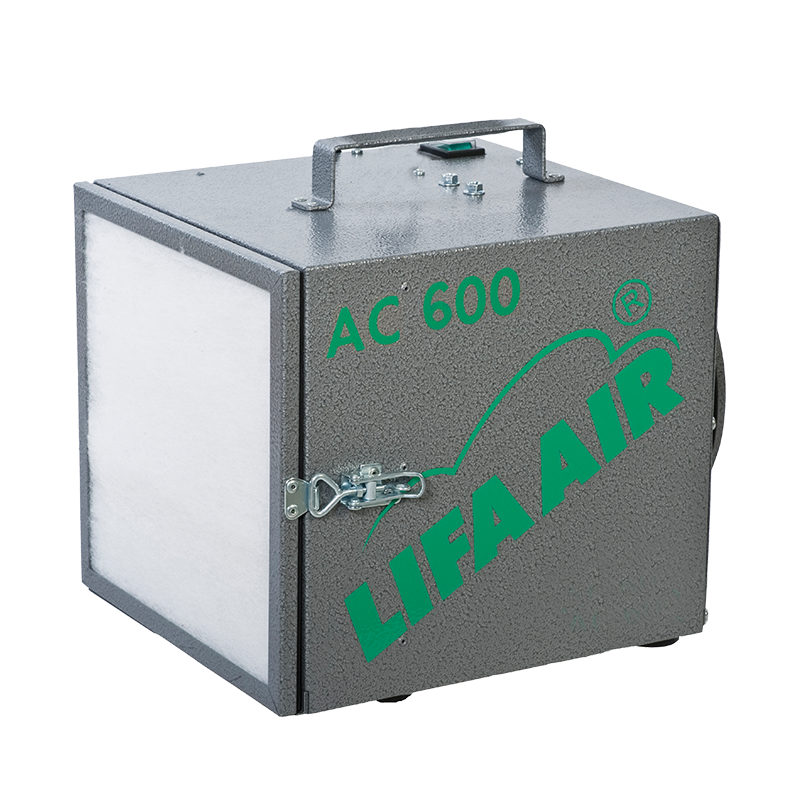 The AirClean 600 has airflow of 800 m3/h (470 cfm) without a filter attached. However, adding filters restricts airflow. Attaching a G4 and F5 suction hose filter, creates airflow of 600 m3/h (353 cfm). While adding the HEPA filter, limits the airflow of the AirClean 600 to 300 m3/h.